The world of work is changing fast — exacerbating income inequality and spurring political upheaval. Without a new social contract, many citizens may fall by the wayside. 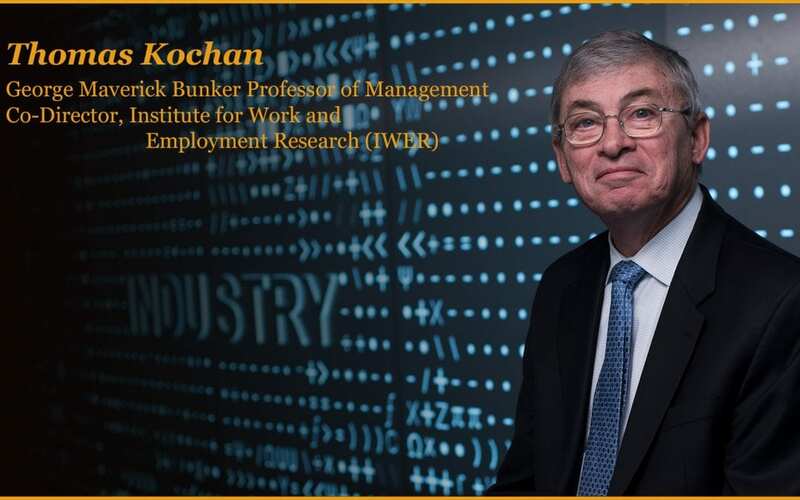 When MIT Sloan professor Thomas A. Kochan co-wrote “Shaping the Future of Work” last year, he expected that the book would be updated — he just didn’t realize he would be updating it so soon. But after unrest from decades of growing income inequality — since the 1980s, the share of the national income going to the top 1 percent of the population has doubled to 20 percent, while the share going to the bottom 50 percent has dropped from 19 to 12 percent — manifested in 2016 as deep social and political divides worldwide, Kochan and his co-author, Cornell professor Lee Dyer, realized the new social contract they discussed in the first version of their book was needed now more than ever. In the updated “Shaping the Future of Work: A Handbook for Action and a New Social Contract,” Kochan and Dyer explain how people can start creating that contract. The first version of this book just came out in January 2016. What changed in the last 18 months? The big change is the recognition of the deep divisions in our society that were laid bare by the election, Brexit, and events in Europe. But it was also clear that the gap between the winners and losers was not fully appreciated or understood, and if we don’t address that we are going to pay a bigger price as technological changes come along — we are going to see a new generation of winners and losers. We felt it was time to focus on how to build a new social contract and address these issues. You write that young people need to take collective action, but you see the role and shape of unions changing. How can they be more effective in the future? Thomas Kochan delivers a lecture in 2005. Young people are using information as a source of power. They use social media more effectively than existing institutions — they are building networks and using things like Glassdoor to search where are good employers, good jobs, and where are the jobs [that are] not so good. And they have been successful — even inside Walmart there are communications groups sharing information on their experiences and using artificial intelligence tools to figure out what their rights are on the job. Managing the use of technology is critical to building a new social contract. In what ways do you see people working with technology instead of against it? We have learned over the years that if you just design the technology and then sequentially say, “Ok, does the workforce have the right skills, and how do we deal with the people who are affected?” you get overinvestment in technology and you don’t get the full productivity benefits. But organizations that can creatively bring the users of technology into the design process will get broader applications, better training, and higher productivity and performance levels. Amazon is a good example of how robots and humans can interact to work more efficiently than either can on their own. The company’s approach to robotics in their warehouses is delivering goods more quickly and efficiently than it could possibly do without the use of advanced technologies — informed and complemented by humans. GPS technologies keep track of where specific goods are located; big data algorithms help place high-demand goods in locations that are most accessible and closest to customers, and humans manipulate the packaging and routing to get the goods moving in the right direction at the right time. All of this is designed by humans who understand the nature of warehouses, logistics, and transportation systems. As a result, some retail store jobs were eliminated, but new warehouse jobs, some of which pay more than traditional retail, were created. You write that employment strategies are outdated. What do you think needs to be done to update them? First, we have to recognize that the workforce is diverse today. We have people working full time, part time, temporary, or contract, who need time out either for childcare, eldercare, or education. We need more flexibility in our policies to overcome this embarrassment that we are basically the last industrialized country without some form of paid family leave. Second, we have to have a workforce that is better educated, better trained, and engaged in a lifelong learning process, things we fundamentally aren’t investing in. We need more incentives for industry to invest in training and to work with community colleges, technical schools, and universities to foster lifelong learning, and then to hold the workforce accountable for taking those opportunities. Third, there is an array of labor policies that are outmoded, including our retirement policies, collective bargaining policies, and the ways in which we enforce many wage and hour policies. Updating those is going to be a decade-long process of taking our laws one at a time and asking, “Were they designed for the industrial economy of the last century? What do we need to update each of them to fit today’s world?” That is a tough political nut to crack, and it probably won’t happen until the workforce is out there communicating what they really want to their legislators. A large part of this book is the call to action. What do you think needs to happen?